Now I know where toys go when they are injured or infirm. It's the Hospital Das Bonecas Brinquedos e Games (toy hospital), just up the street from us. Now I know where toys go when they are injured or infirm. 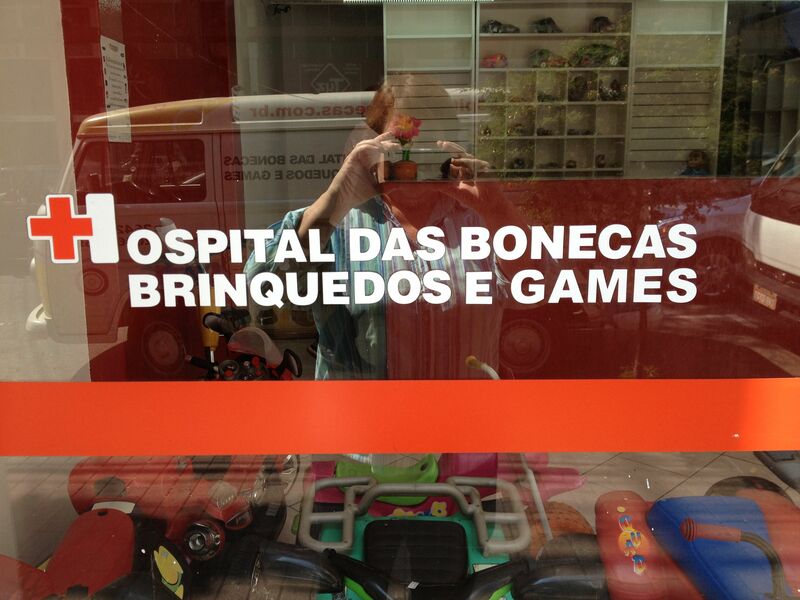 It’s the Hospital Das Bonecas Brinquedos e Games (toy hospital), just up the street from us. Walk past and you see the larger toys in the front window, and lining the upstairs windows, as well. In the counters inside the store, you can see other toys that have been mended. The hospital even has its own ambulance. 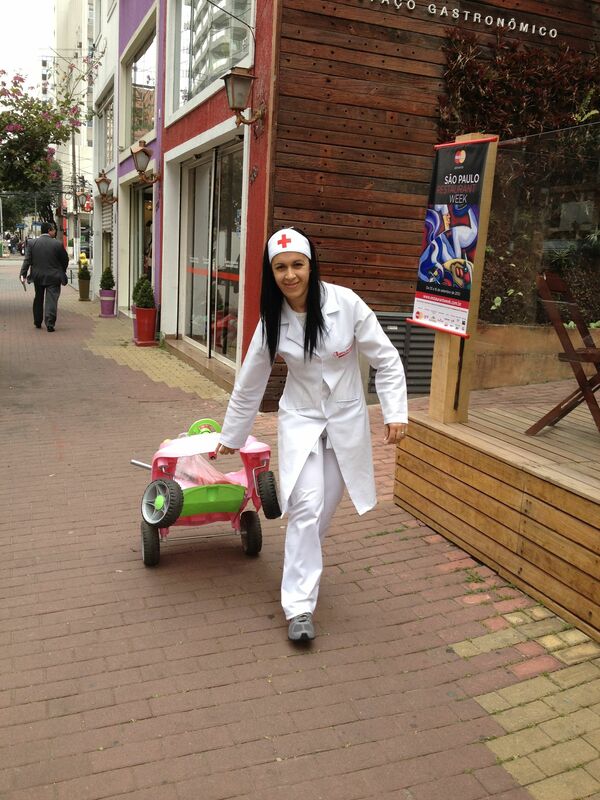 One afternoon, we saw a nurse rushing a load of toys to the rig, obviously an emergency! The Hospital of the Dolls, Toys and Games can be the solution to “save” the lives of the kids toys. 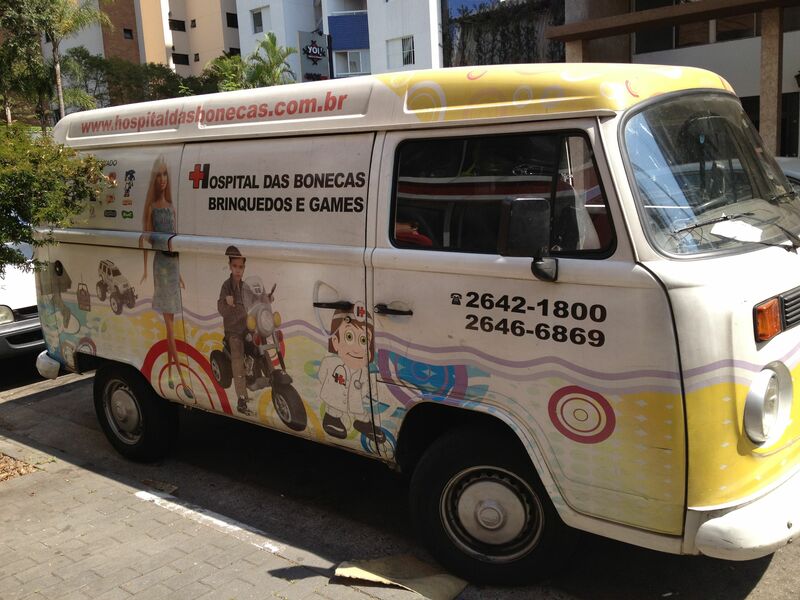 The Hospital of Toys has three units in São Paulo, in the neighborhoods of Penha, Itaim and Brooklyn. Establishing seems a real hospital: on arrival, the client makes the plug toy, the doctor makes a genuine consultation, and receptionists behave as legitimate enfermeiras. Dependend on the severity of the case, rest assured: your toy can get “high” quickly and be the object of joy for children and also for adults. Oh, I couldn’t have put it better myself. 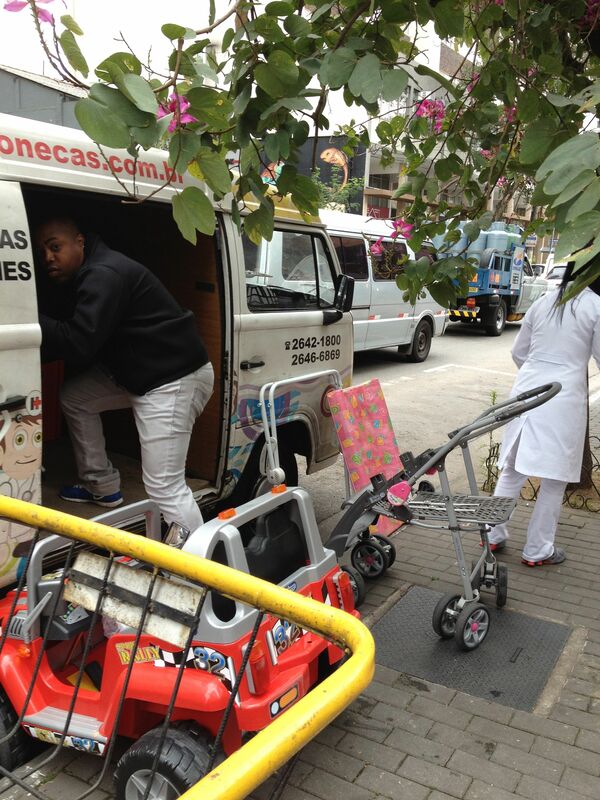 One thing this hospital for toys tells me is, the economy in Sao Paulo must be doing fine. When luxury stores such as this stay in business, it says to me that people have disposable income. Silly as this store might be, let’s hope it continues to thrive.